As with many popular properties, a new iteration of Shaft is currently in the works, on its way back to the big screen after the original film hit theaters in 1971. New Line is behind the reboot with John Davis producing, but last month some news surfaced about that project that made folks a bit wary about the new direction. In addition to learning that Black-ish creator Kenya Barris and The Goldbergs writer Alex Barnow would be penning the script for the new Shaft movie, THR revealed that the film would have “a comedic tone, but will retain its action roots.” The prospect of a property that began as an important fixture in Blaxploitation cinema becoming a standard action comedy rubbed some people the wrong way, but it turns out the film might not be comedic in tone after all. 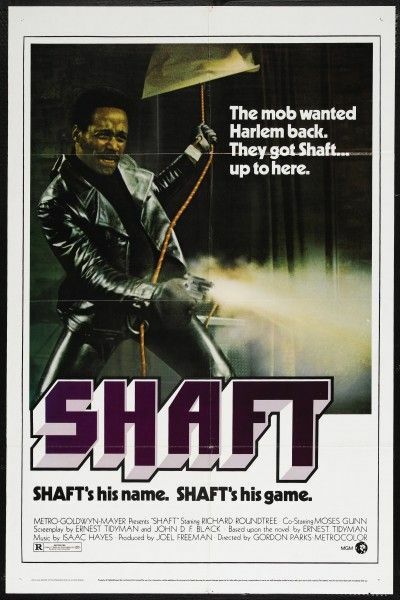 Interestingly, on the subject of the age of this new Shaft, Davis said the film “could be a generational story,” which is essentially what John Singleton did with the Samuel L. Jackson-fronted 2001 film. That movie was a sequel, with Jackson playing Richard Roundtree’s nephew. It’s unclear if this new film will be a sequel, reboot, or some combination of the two, but it’s still fairly early days so a lot could change by the time it gets in front of cameras. Tone-wise, though, it sounds like the new Shaft will skew closer to the dramatic side of the scale. Which is probably smart, since Undercover Brother is about as good as a “comedic Shaft” is going to get.